"Once I saw the village butcher slice the neck of a bird and drain the blood out of it. I wanted to cry out, but his joyful expression caught the sound in my throat ... This cry, I always feel it there. When, as I drew a crude portrait of my professor, I tried to rid myself of this cry, but in vain. When I painted the beef carcass it was still this cry that I wanted to liberate. I have still not succeeded." 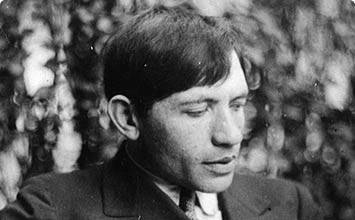 Chaim Soutine is an Expressionist artist that lived and worked in Paris at the height of the modern era. Despite dominant trends toward abstraction, Soutine maintained a firm connection to recognizable subject matter. His innovation was in the way he chose to represent his subjects: with a thick impasto of paint covering the surface of the canvas, the palette, visible brushwork, and forms translated the artist's inner torment. As an expatriate Russian Jew living within Paris, with few friends beyond fellow artist Amedeo Modigliani, Soutine interpreted common themes with the eye of an outsider, further enhancing his unique perspective regarding his human subjects, landscapes, and still lifes and lending them a particular vanitas and poignancy. A prototypical wild artist, Soutine's temper and depression are both well documented and were poured into the paint he layered on the canvas. Soutine's body of work transcends the movements that dominated the avant-garde during his lifetime, expressing a clear personal and artistic vision that both looks back at historic themes as well as toward future modernist styles. Soutine looked to established masters like Rembrandt van Rijn and Jean Baptiste Simeon Chardin for inspiration, often referencing subject matter from their paintings in his own work. However, although many of his paintings contain clear references to historic works, Soutine reinterpreted each theme, imbuing it with a drama and tension derived from his own complex emotions not present in the older work. A preoccupation with food dominates Soutine's vivid still lifes, with the focus placed on the bodies of animals used for food. The artist's complex relationship to food, with its prominent place in Jewish ritual as well as its scarcity in his youth and early career, lends the common vanitas theme a deeper, more personal meaning. Although labeled within art history as an Expressionist, Soutine's subjects and paintings are far from the typical urban angst commonly portrayed by German Expressionists. Instead, his unique mode of conveying his inner psyche through the manipulation of paint set a precedent that would reappear with the Abstract Expressionists. Soutine's early experience of religious persecution had a large influence throughout his life, on both his personality and his art. His personal experience of discrimination provided the fuel for his expressive rendering of common objects and themes. He filtered his angst into his brushstrokes and, practicing painting as an act of devotion, he provided many later Jewish artists with an early-20th-century role model. Chaim Soutine was born and raised in the small Jewish settlement of Smilavichy, near Minsk, in what is present-day Belarus. The tenth of 11 children, his father was a tailor and Soutine was raised under extremely modest means. 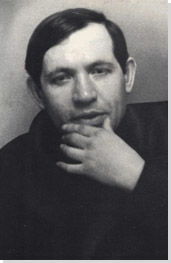 His upbringing was fairly typical of Russian-born Jews during this era, who were forced to endure persecution and discrimination from a hostile government. Soutine's interest in drawing incurred opposition within his Orthodox family and the small community because of Talmudic proscriptions regarding images. According to an oft-recounted story, young Soutine was beaten in punishment after presenting a portrait to a rabbi. The suffering he experienced within the Jewish ghetto of his youth is believed to have worked its way into his later canvases. There is unmistakable symbolism in many, if not all, of Soutine's still-life paintings of food. Not only does food play an important role in religious ritual, but Soutine also endured great poverty while growing up and constant stomach ulcers that often made eating impossible. In this painting, an early study made not long after completing his studies in Paris, he cleverly conveys a sense of hunger by likening the forks to arms, which reach in from opposite ends of the plate to grab the slender fish. Comparatively this work is amateurish when viewed with his later portraits and still lifes, yet it also shows a young artist with a keen sense of symbolism and an Impressionistic painterly touch. Soutine was not a terribly handsome figure, but was by no means a grotesque man. It is incredibly telling that Soutine infused his self-portraits with a clear sense of self-loathing by exaggerating his features to the point of distortion such that the image of the artist in the painting is unrecognizable as the man that appears in photographs from the same time. Soutine even subtitled a later self-portrait Grotesque (1922-23). This example from 1918 contorts the nose, lips, and ears, and altogether portrays him in an unfavorable light, as if the artist were exploring his darkest character flaws writ large on his visage. Adding to his jagged shoulders and anguished eyes, Soutine tellingly chooses an acidic yellow for the backdrop of this portrait, which only furthers the melancholy of his perspective. The clear influence of Post-Impressionists like Vincent van Gogh can be seen in the vibrant palette as well as the loose brushwork Soutine used to create this image. Not long after Soutine became acquainted with the dealer Leopold Zborowski, he was sent to the village of Céret in the Pyrenees foothills, the very place where Pablo Picasso, Georges Braque, and Juan Gris vacationed and discovered much of their inspiration for Cubism. Although quite taken with Cubism and its intellectual pursuits, Soutine refrained from experimenting with the style in his own art. Instead he preferred to lend his canvas a certain vibrancy, with multiple sweeps and curves that gave his landscapes an unsettling beauty. Despite the artist's abundance of landscape work throughout his career, Soutine did not have a terribly affectionate relationship with the outdoors. In turn, he rendered his landscapes with his own brand of anxiety and moroseness, indicated by scenery that seems to shift across the canvas. Soutine's position in France as an outsider is emphasized by the perspective, which is rendered as if he were hovering above the scene as the earth fell away beneath him. Clearly he did not represent nature as it objectively appeared, but how he, the Russian-Jewish immigrant plagued by sadness, viewed it - a typically modern and Expressionist mode of representation. The swirling brushwork of the trees and jagged, tilting horizon convey the internal unrest felt by Soutine and foreshadow the gestural quality of the action paintings of the Abstract Expressionists. Soutine was on occasion referred to as a "servant painter" due to his many portraits of cooks, maids, and other wait staff - even random people he encountered on the street. Pastry Cook with Red Handkerchief (aka The Little Pastry Cook) is perhaps the best known of Soutine's pastry cook paintings which caught the attention of Albert Barnes in 1923. Widely regarded as a masterpiece of color, the handkerchief is the focal point of the work. Despite being partially hidden in the young man's grasp, the splash of red in the handkerchief draws the viewer's eye throughout the composition. The angular, exaggerated features of the young man and his absent gaze echo those found in some of Soutine's self-portraits, suggesting that Soutine saw himself in this young man. The flatness of the representation and the thick impasto of the paint application would later reappear in works by the Art Brut painter and sculptor Jean Dubuffet, further demonstrating Soutine's impact on modern art, despite his non-involvement in a specific avant-garde group. Here, Soutine cunningly portrayed the beef split open, as if bearing its soul to the viewer. Soutine's repeated use of animal carcasses as the subject matter for still life paintings likely stems from his complex relationship with food and his adoration of the work of Rembrandt. During his repeated visits to the Louvre, Soutine pondered the old master's Slaughtered Ox, which bears a strong resemblance to Carcas of Beef(1655). Unlike Rembrandt, Soutine isolated the subject and employed an unusual method in the creation of this still life. After hanging the side of beef bought at a Parisian slaughterhouse in his studio, he had his assistant fetch a bucket of fresh cow's blood every few days and, while painting this work, Soutine would repeatedly pour blood over the carcass to ensure it maintained the bright color of freshly cut beef. Meanwhile, his assistant fanned away flies and neighbors complained to the police about the smell, even causing health inspectors to almost cart the beef away. Luckily his assistant intervened, as Soutine was far too engrossed in painting, and the artist was allowed to finish what is largely regarded as his masterpiece. The very visceral image of Soutine pouring blood over the carcass, as well as rapidly applying layer after layer of liquid paint to the canvas, recalls the later action painting of the mid-20th century. A direct link to this painting can be found in the work of Francis Bacon, which reflects the dark, emotional turmoil of Soutine as well as the use of anthropomorphized beef to reveal the artist's psyche. This portrait is another example in which Soutine reinterpreted Rembrandt - specifically the old master's Hendrickje Bathing from 1655. In Soutine's version, he confronts his figure head-on, with little distinction between the woman and the water itself. Her dress, skin, and posture are all somewhat contorted - static while not entirely motionless - much like the water she is entering. Soutine's rapid brushwork drastically flattens the figure and her surroundings, eliminating naturalistic depth in favor of a condensed, ambiguous space filled with dramatic tension. This radical rendering is a dramatically modern interpretation of a naturalistic scene captured by Rembrandt. In portraits like this, Soutine successfully synthesized traditional influences from subject matter and the exaggerated shadows of the Dutch Baroque master with his own particular vision; here, he represents the figure with quick, visible brush strokes and an eye for abstraction that obscures the woman's body in favor of the texture and complexity of brushwork used to render her garment. Soutine pushes the subject up to the front of the image, removing most reference to the background and placing the focus on his handling of the paint, a clear precedent for the path of the later Abstract Expressionists. While Rembrandt painted a candid portrait of his wife, a testament to their intimate relationship, Soutine worked from a paid model or a peasant woman he encountered in his daily routine. This difference is evident in the painting's impersonal tone as well as the homeliness and earthiness with which he imbues his female subject.